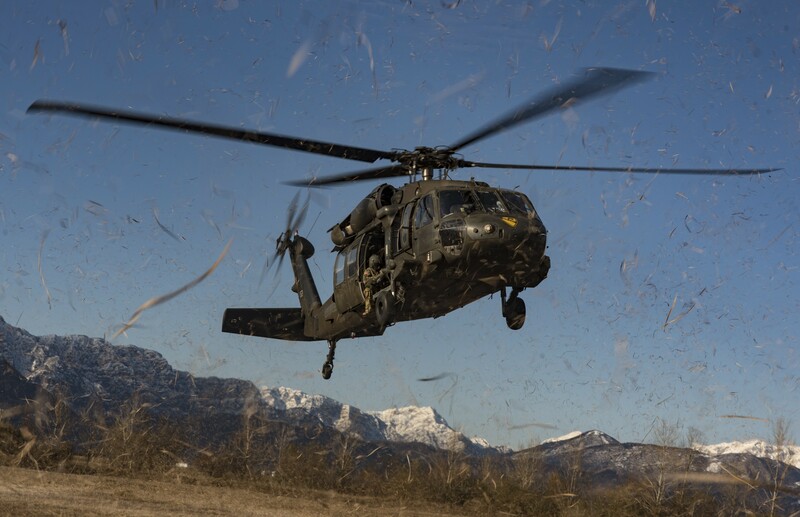 AVIANO AIR BASE, Italy -- 3rd Battalion, 227th Aviation Regiment, 1st Air Cavalry Brigade, Task Force Spearhead, 12th Combat Aviation Brigade, provided two UH-60L Black Hawk helicopters in support of sling load training conducted by 173rd Airborne Brigade, here, at Frida drop-zone, Pordenone, Italy, Mar. 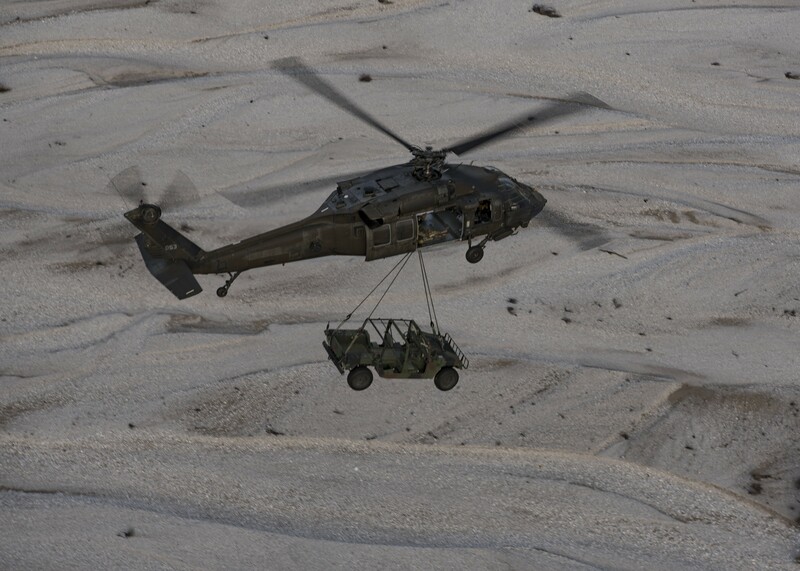 9, 2016. Sling-load training prepares Soldiers to deliver and move equipment in a quick, safe and efficient manner as a team. 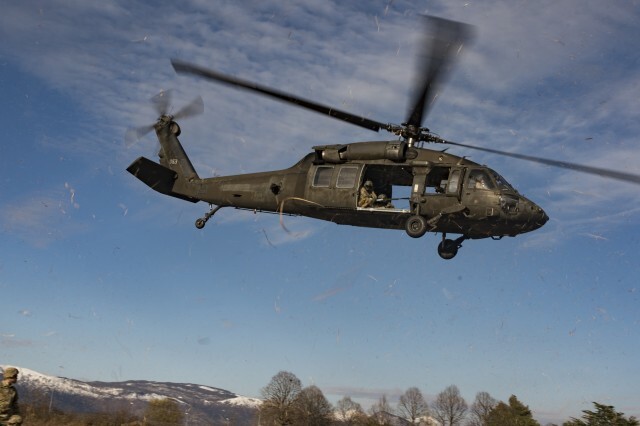 Sling load training is also important for the flight crew since the flying aerodynamics with an external load are different and cause various power constraints. 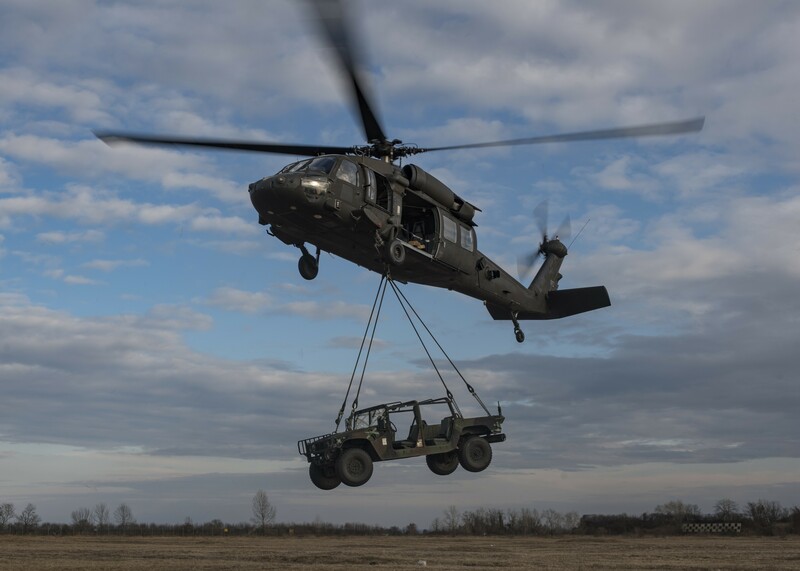 The 173rd Soldiers rigged the HMMWV and performed signaling and hook-up duties. 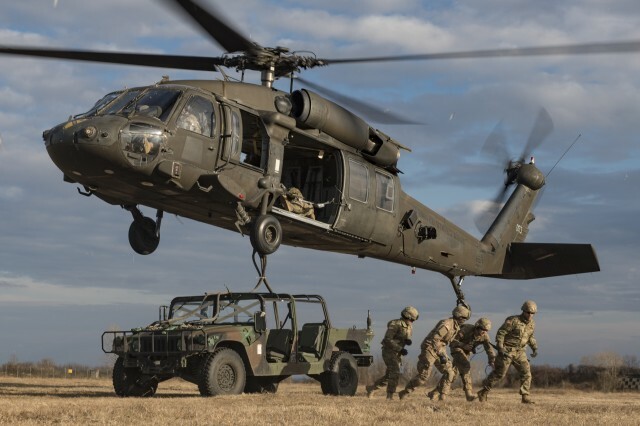 They were able to properly attach hoist lines and grounding cables to secure the load to a hovering Blackhawk on all nine sling load attempts. 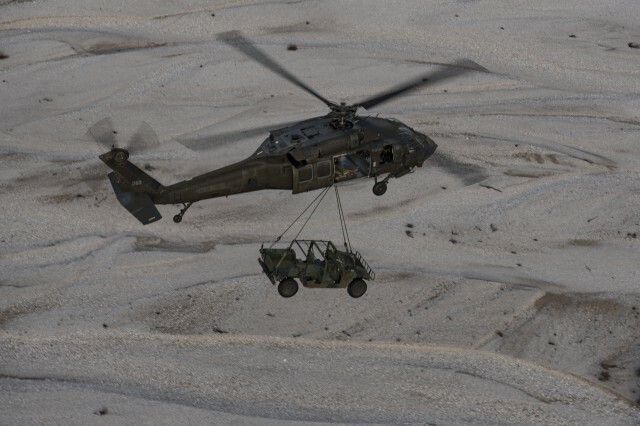 On the last pass the load was flown several miles within the military operations area along the dry river bed. 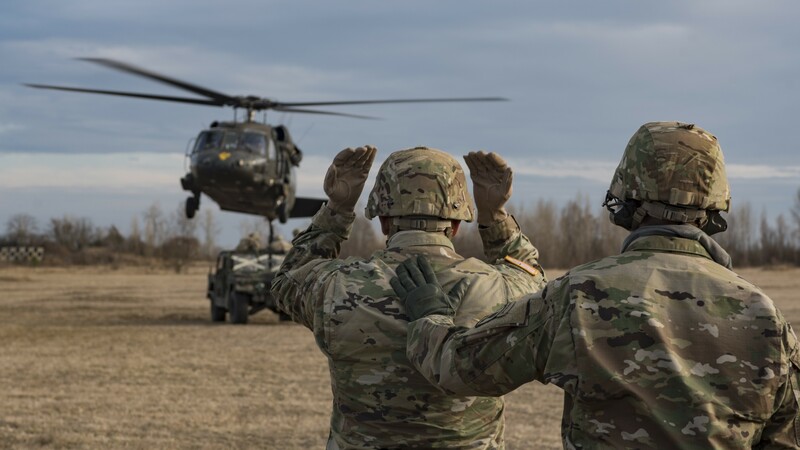 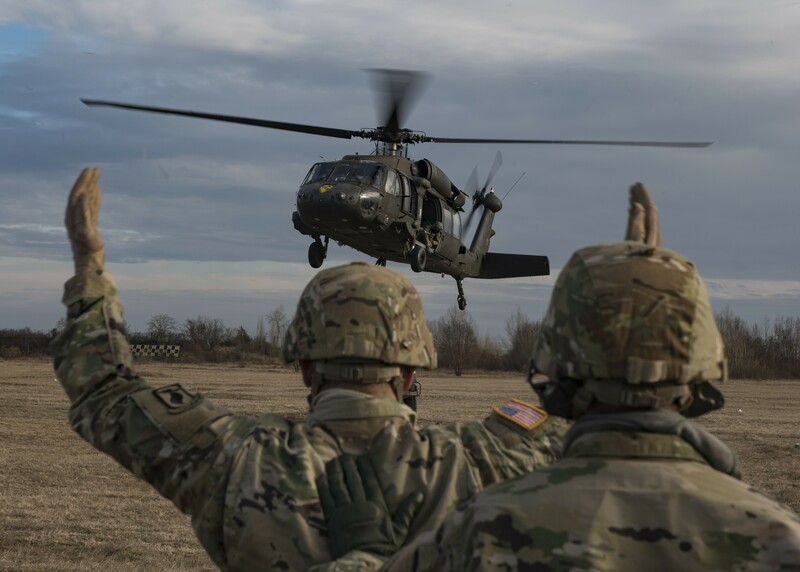 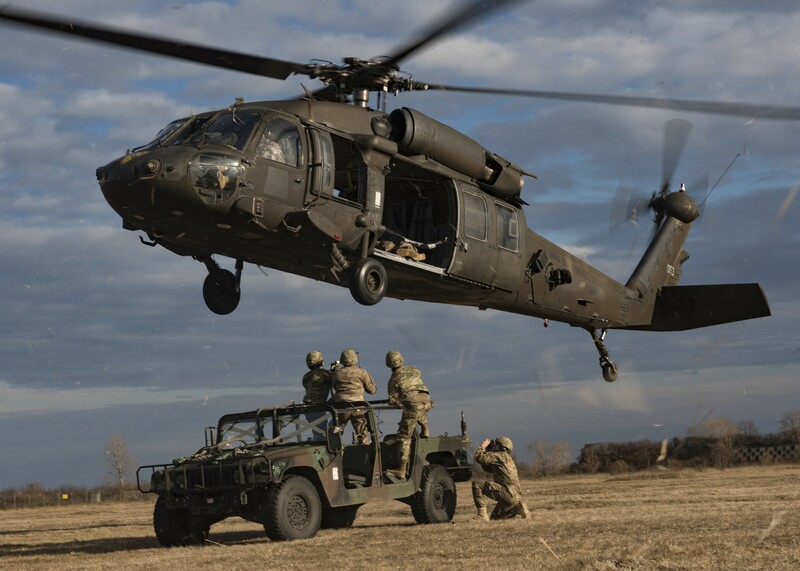 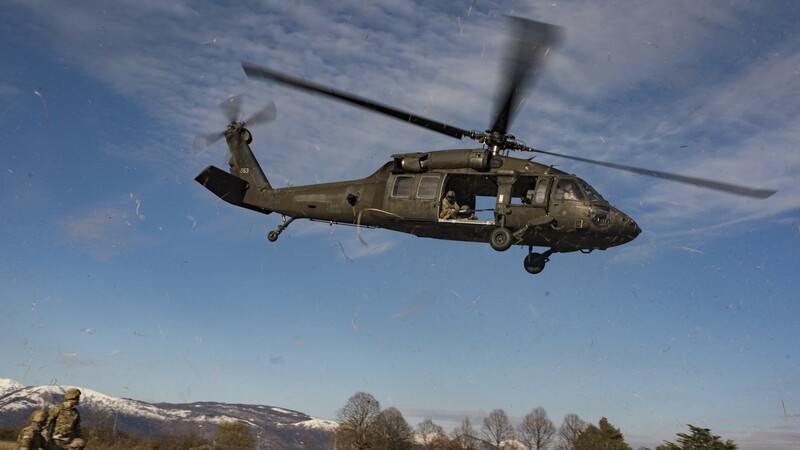 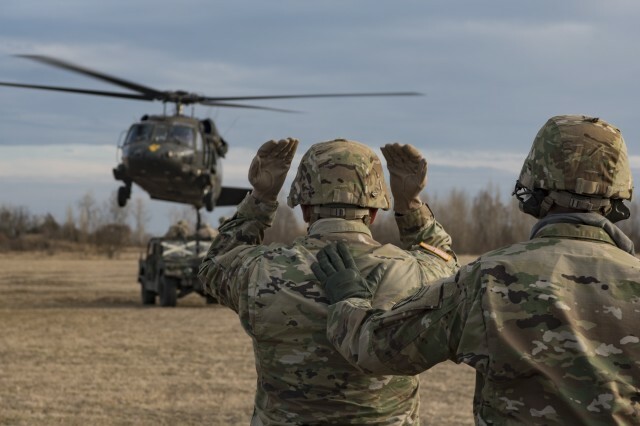 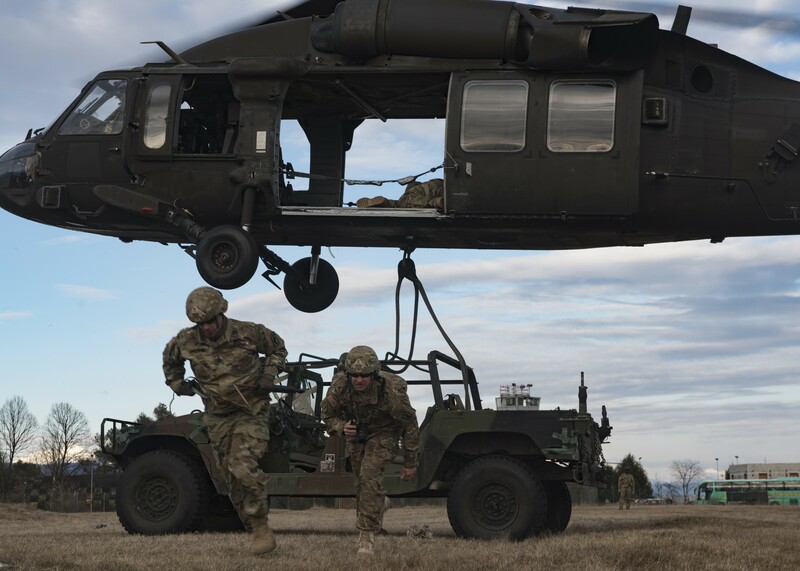 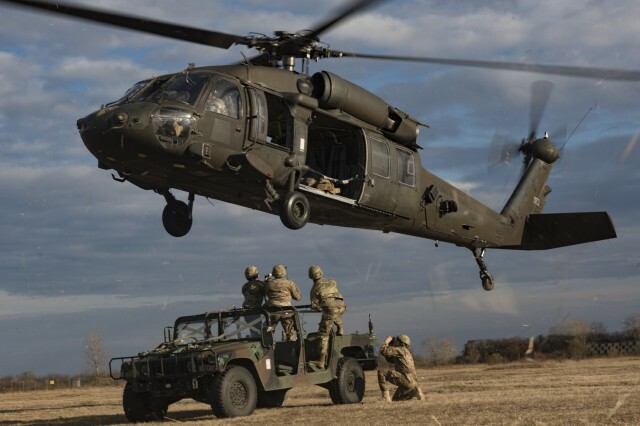 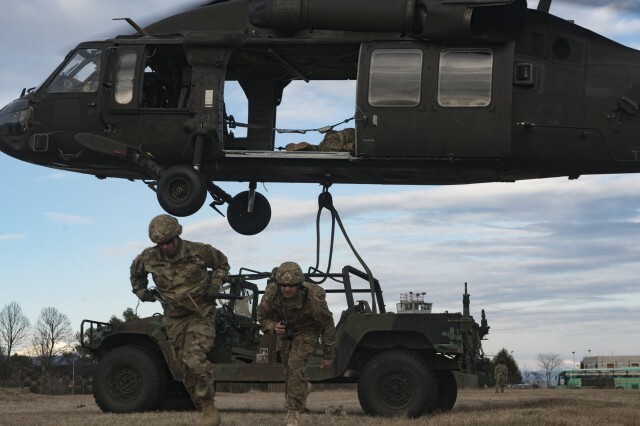 "This is really great training for us and a plus for the 173rd, they love to do it," said Chief Warrant Officer 4 Joshua C. Bare, a UH-60L Black Hawk helicopter pilot for the 3-227th. 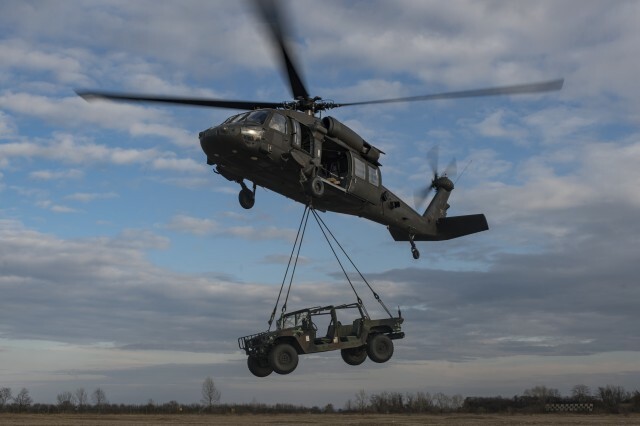 Pilots and flight crews are required to complete sling load training twice a year. 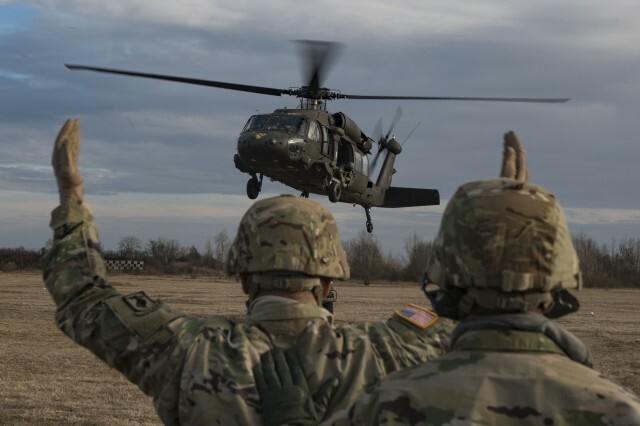 The 173rd Airborne Brigade ("Sky Soldiers"), based in Vicenza, Italy, is the Army Contingency Response Force in Europe, and is capable of projecting ready forces in 18 hours or less to conduct the full of range of military operations across the United States European, Central and Africa Commands areas of responsibility.